The fireplace in your home is a source of warmth and relaxation for your family and friends. Like any home appliance, it should be safe, properly maintained, and good for the environment-inside and out. Being good to the environment also means making sure your fireplace habits are safe and will not pose a danger to your home or your neighborhood. Clear the area around the fireplace and chimney. Debris too close to the fireplace could cause a fire. Check the flue for obstructions like birds' nests, and trim any overhanging branches or large trees near the chimney. Never overload the fireplace with too many logs. Don't use the fireplace as an incinerator. Never burn garbage, plastic, "treated" wood, Christmas trees, or piles of paper. Never leave a fire unattended. Be sure the fire is extinguished before you go to bed. Keep wood stacked, covered, and out-of-doors, away from the house and off the ground. Bring in only as much as you need for one evening to prevent insects that may be in the wood from entering your home. Manufactured Firelogs, which are packaged to eliminate insects and mess, can also prevent this problem. Have your fireplace inspected. Have your fireplace inspected and cleaned annually by a National Chimney Sweep Guild Certified chimney sweep. A dirty fireplace can cause chimney fires or contribute to air pollution. Your local NCSG-certified chimney sweep will diagnose your fireplace and recommend what it needs in order to burn cleanly and safely. A revised standard for glass fronts on gas fireplaces goes into effect on January 1, 2015. The new standard applies only to gas fireplaces and glass‐fronted heaters with glass surface temperatures that exceed 77.8°C or 172°F. It does not apply to solid‐fuel burning appliances. Glass can be very hot even if the unit is turned off. Supervise children, pets and others of special needs near operating gas fireplaces, stoves and inserts. Make all family members and guests aware that glass panels can be hot. For more safety tips on gas fireplace and stove glass fronts click HERE. Be aware that all metal surfaces, such as door frames and grills can be hot. Keep the remote control out of the reach of children. Install a switch lock to keep children from turning on the appliance. 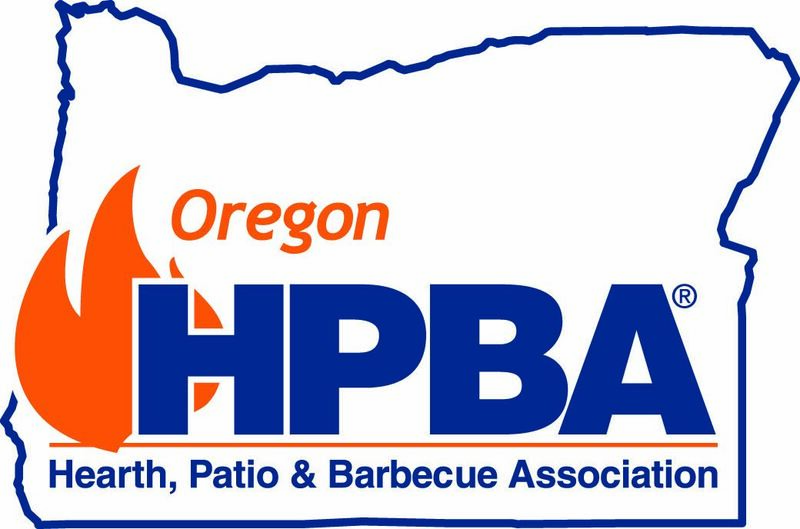 Here is a link to the HPBA video on fireplace safety. Make a fire that fits your fireplace. A fire that's too large or too hot not only wastes fuel, it can crack your chimney. Here is a link to the HPBA video on clean woodburning. Read and follow the label when using firelogs. Use one firelog at a time, starting it with a fireplace at room temperature. Don't poke or break manufactured logs. This will cause them to crack apart, releasing their energy at a high rate and resulting in a shorter burn time. Firelogs perform best when burned on a supporting fireplace grate with a maximum of three to four inches of space between support bars. If your fireplace is equipped with glass doors, leave them open while burning a firelog to allow proper draft and cleaner burning. Once you're sure the fire is extinguished, close the damper and glass doors to retain warm air inside the house. For more information, go to our Links Page and click Oregon Dept. of Environmental Quality and Chimney Safety Institute of America.